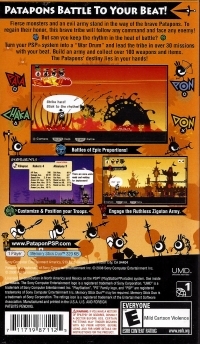 Box Text: Patapons Battle To Your Beat! 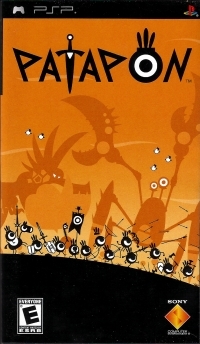 Fierce monsters and an evil army stand in the way of the brave Patapons. To regain their honor, this brave tribe will follow any command and face any enemy! But can you keep the rhythm in the heat of battle? Turn your PSP system into a "War Drum" and lead the tribe in over 30 missions with your beat. Build an army and collect over 100 weapons and items. The Patapons' destiny lies in your hands! 09-06-2011 scott Box Text Patapons Battle To Your Beat! Fierce monsters and an evil army stand in the way of the brave Patapons. To regain their honor, this brave tribe will follow any command and face any enemy! But can you keep the rhythm in the heat of battle? Turn your PSP system into a "War Drum" and lead the tribe in over 30 missions with your beat. Build an army and collect over 100 weapons and items. The Patapons' destiny lies in your hands! 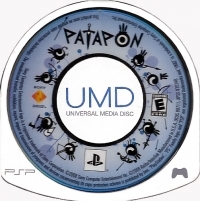 This is a list of VGCollect users who have Patapon in their Collection. This is a list of VGCollect users who have Patapon in their Sell List. This is a list of VGCollect users who have Patapon in their Wish List.